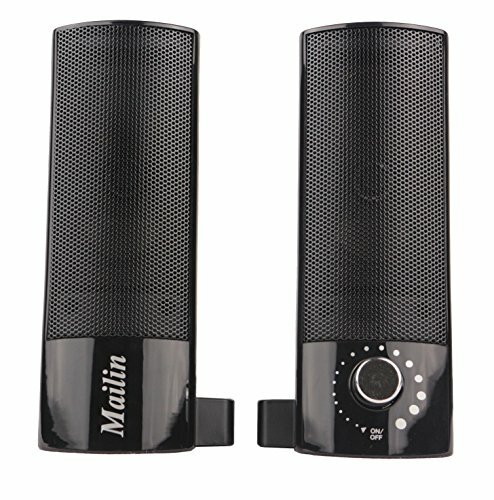 Mailin was founded in 2002. 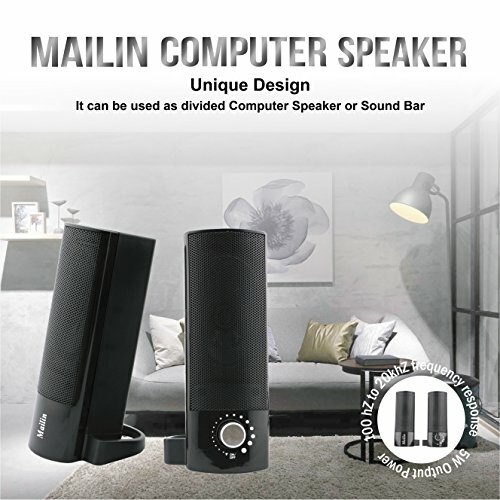 We are professional manufacturers focusing on producing electronic technological equipments such as speakers, bluetooth products, computer accessories. 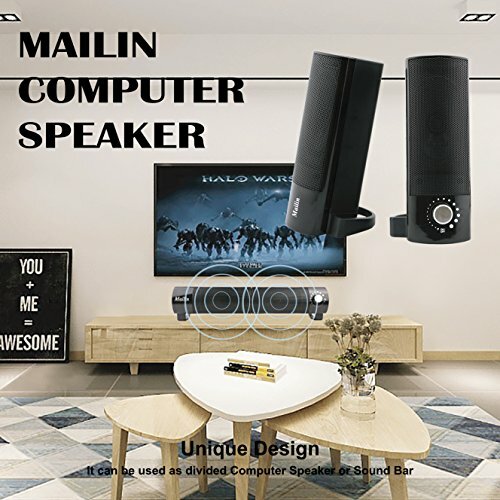 We value "innovation" and we have our own designer and factory, so we design and produce products all by ourselves and offer the best quality products for customer. As time goes, more and more customers use our products and our goal is to satisfy them and make their life happy. 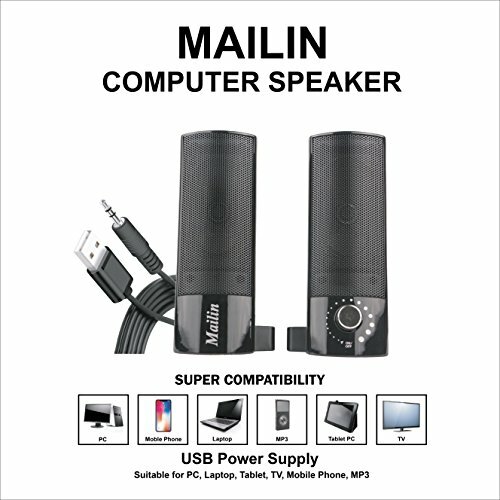 Super compatibility: As a computer speaker, it can be widely used for PC computer, laptop, mobile phone, mp3 player. 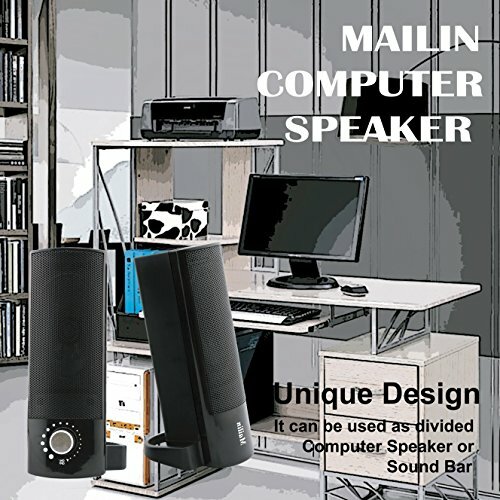 It can be also used as a sound bar to connect TV. 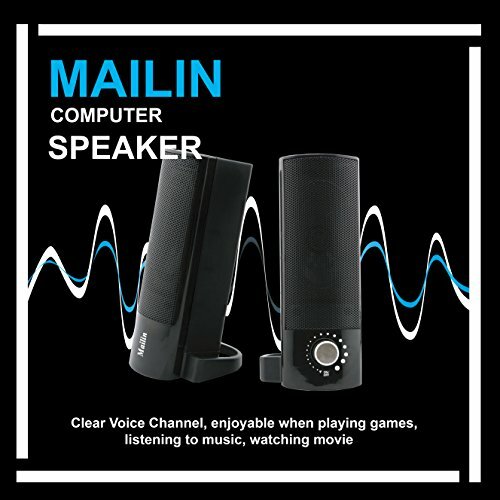 Stereoscopic sound quality: Nice sound quality and clear voice, double channel playing, suitable for people watching movie, listening to music and playing computer games. Good looking: As shown in the picture, it has a unique design and craftsmanship. It is lovely to put it near computer and TV in the living room. Also it is a pleasant gift to give your friends. 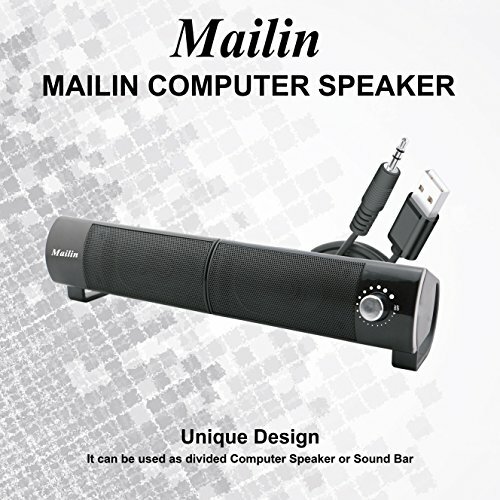 Easy to use: USB power supply and 3.5mm audio input interface, just connect to your devices and then enjoy it. Manufacturer's Warranty-We are manufacturers who produce good quality products. It is acceptable to ask for refunding order if you are not satisfied with it, as long as communicating with us. Any suggestion about the product is also welcomed. 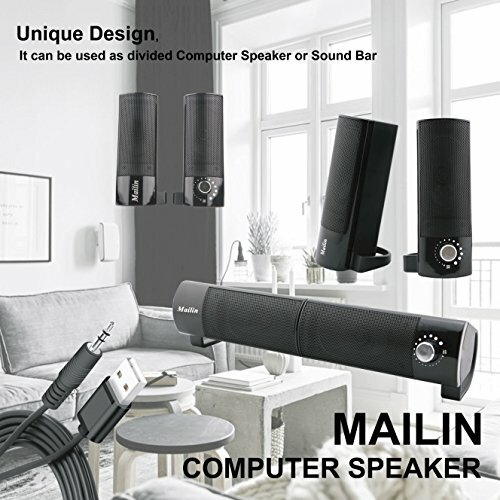 If you have any questions about this product by Mailin, contact us by completing and submitting the form below. If you are looking for a specif part number, please include it with your message.